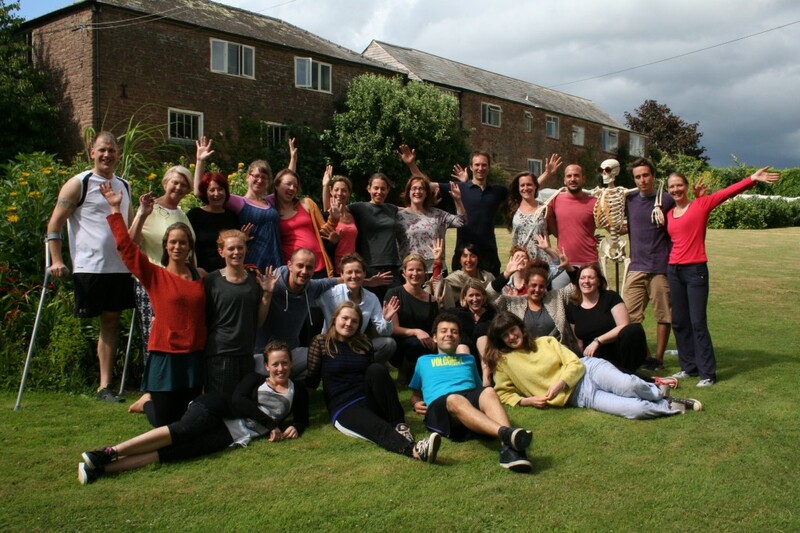 Well, we have just said farewell to our second group of massage therapists this summer. BCMB Worcester’s group was followed by her big sister BCMB Bristol! 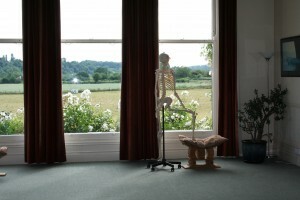 (http://bristolmassage.co.uk/). We had a lot of fun with both groups and great to see lots of young people especially getting involved with healing and bodywork. We also had our fair share of skeletons! 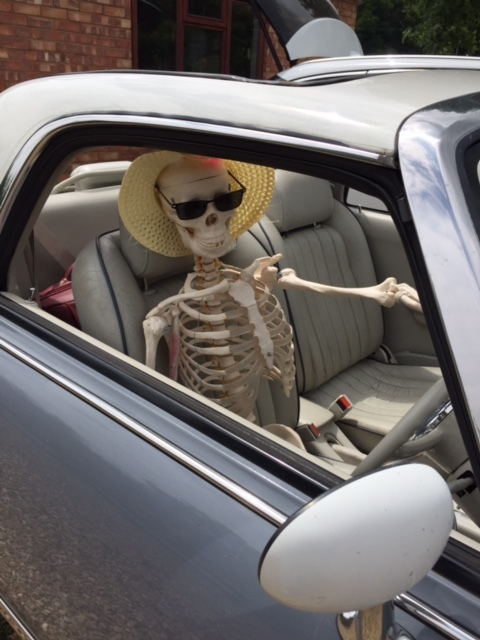 The Worcester group arrived with “Lucy” in the passenger seat of a vintage car (and Colette was kind enough to send us some photos she took before setting off from home – we expect she had a few funny looks when she pulled up at traffic lights!). 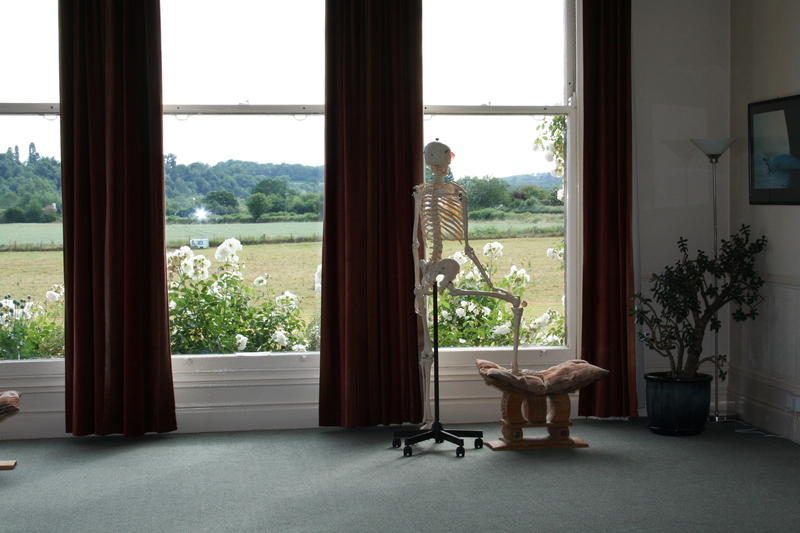 And “Adam” was seen enjoying the view from the group room windows and hanging out with the group in the gardens……! This weekend we are joined by Richard and Marigold Farmer’s Giant Leap 2 group (http://www.soulmoves.co.uk/ and http://www.tmwtraining.com/). We have lots of old chums on this group so a nice, relaxing few days – some people even attended Richard’s very first group at Poulstone with us back in 1993! It’s warm and pleasant outside so lots of opportunity for them to practise Tai Chi outside. 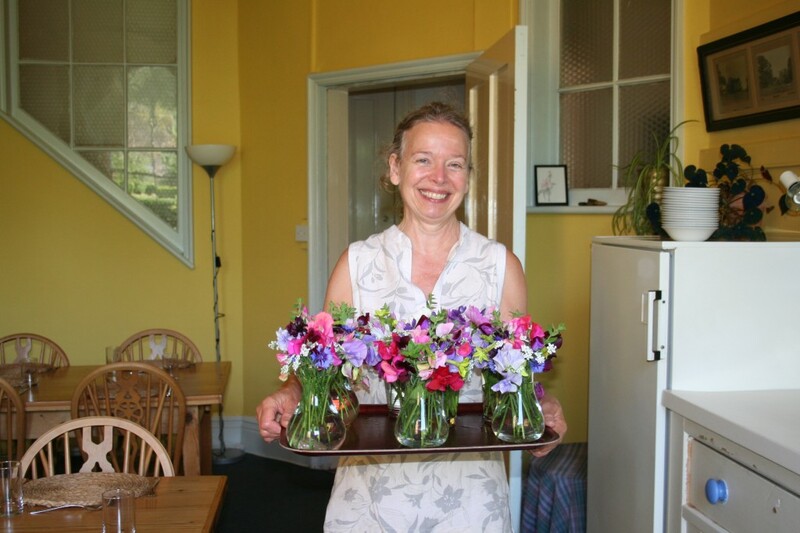 The house is looking lovely especially with Gail’s beautiful flower arrangements with cosmos and sweet peas taking centre stage. We’re needing to do lots of watering at the moment but it’s a pleasant job whilst watching the swallows and martins around the gables (and later the bats!). 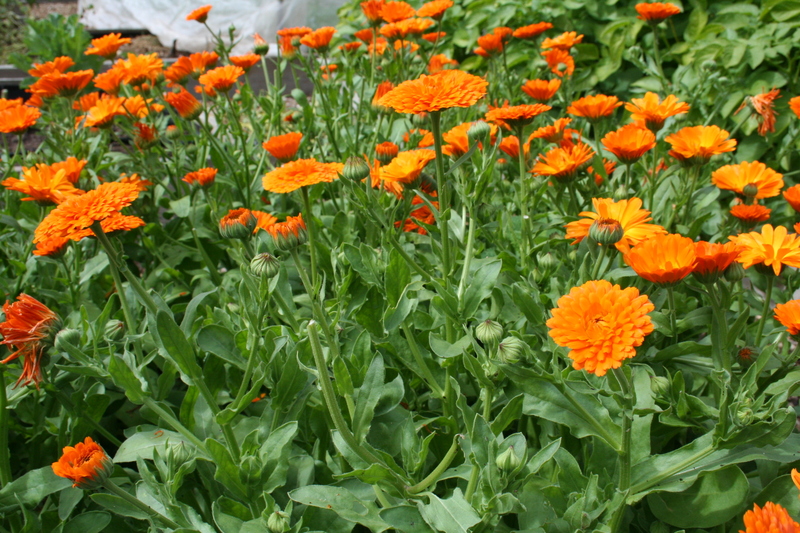 This group are particularly lucky as the veg garden is currently overflowing with produce for the kitchen – chard, herbs, courgettes, turnips for the delicious turnip and watercress salad, lots of different salad leaves, rocket and mange tout – yum! Hilary is doing very well in the kitchen these last few weeks because it is very HOT in there in this warm weather despite all the fans we can throw at the situation!! We had a little unexpected help in the garden last weekend. 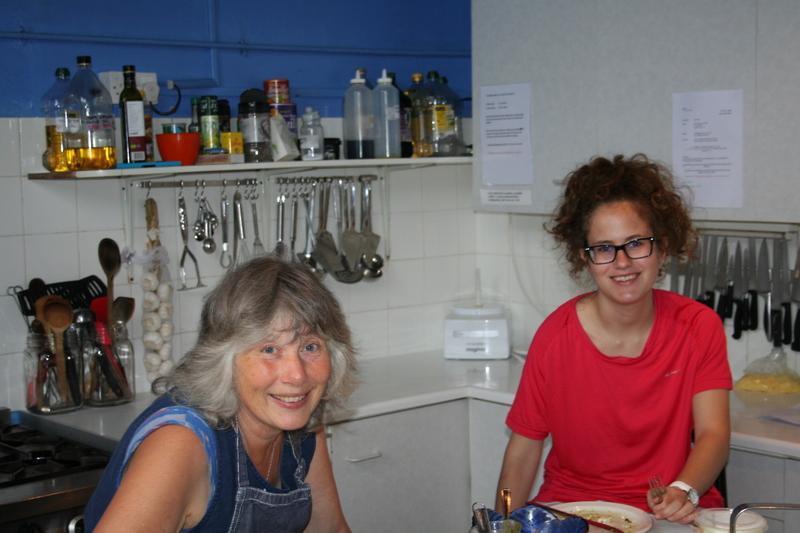 Hilary hosts “woofers” (Work on an Organic Farm) on her smallholding over the summer and brought along Elena from Spain on Sunday who helped Steve weed the stone garden and fairy circle and joined us for lunch. Thanks so much, Elena! We are still searching for new suppliers since Windhorse Trading closed. Our friends at Lam Rim Buddhist Centre in Monmouthshire have put us in touch with Tibetan Dawn in South Wales. 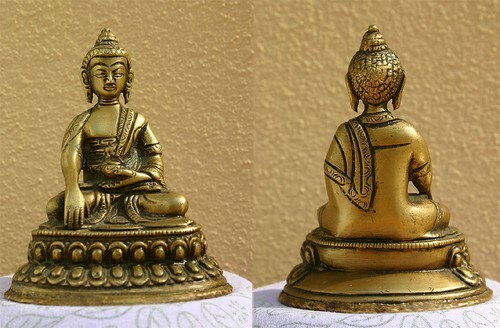 They supply some lovely gifts, the proceeds from which help Tibetan refugees to make a living, especially those in remote areas a bit off the tourist circuit. You can see their full range at http://tibetandawn.co.uk/ and so far our small selection in the Poulstone shop is going down well. Well, that’s about all from us this week!